Functional movement is growing in popularity because it makes us stronger and fitter for the all the things we love to do. Yoga and mobility work help us stay supple and agile, while crossfit builds strength and mental toughness. 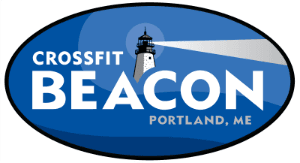 We created beaconfit to incorporate the best of all of these approaches, without the barbell or technical weightlifting in typical crossfit classes. The program is led by coach kristen to include small group classes and 45 minutes of movement that focuses on body weight exercises, yoga flow, cardio, and core work. Wednesday: Weights - Strength focused using body weight movements, kettle bells, etc.